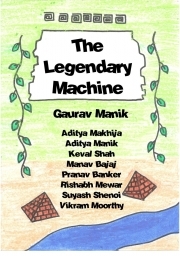 Description of "The Legendary Machine (eBook)"
Three boys, raised by lions in the jungle, find a strange object one day. They are taken on a whirlwind adventure through jungles, cities, oceans an air, as they discover one piece after another of a Legendary Machine. Follow Jake, Aaron and Peter on their amazing journey and unravel the secret of the Machine. Gaurav Manik creates stories for children through workshops where the children themselves help build a plot. More info at www.youmakethestory.com While he's not writing books he is the CTO of Flexidea Software Ltd. Reviews of "The Legendary Machine (eBook)"